One of the highest altitude (1370metres) retail/wholesale production, cool climate nurseries in Australia. Originally set up to propagate mainly for farm trees and plantations. Supplying over a million trees over this time, including plants to the Superman Movie set. 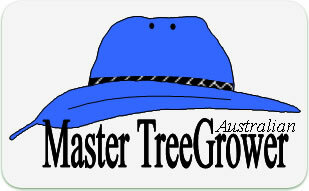 Supplying interstate, State wide and Northern Tablelands gardeners, farmers, landscapers and trade. Species include Conifers, fruit trees, berries, weepers, colourful autumn trees, ground covers and Roses. Exotic and native species in trees and shrubs. Nursery is operated by Pam and Gordon Youman both qualified in Advanced Diplomas in Horticulture, Trainers and Workplace assessors and Frontline Business Management. Four casual staff is employed doing sales and propagation activities. Consulting and species selection service. Product range includes fertilizer, seeds, bulbs chemicals, pots, statues, water features, tree guards, mulches, wine barrels, garden tools, shade cloth, growing media, gift vouchers.